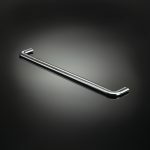 Architect and silversmith Robin Partington designed this towel rail to complement his residential lever handle. 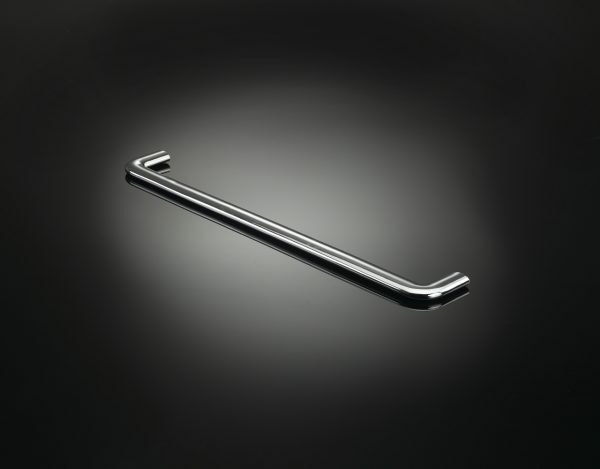 It has the same simple lines, presence and weight. 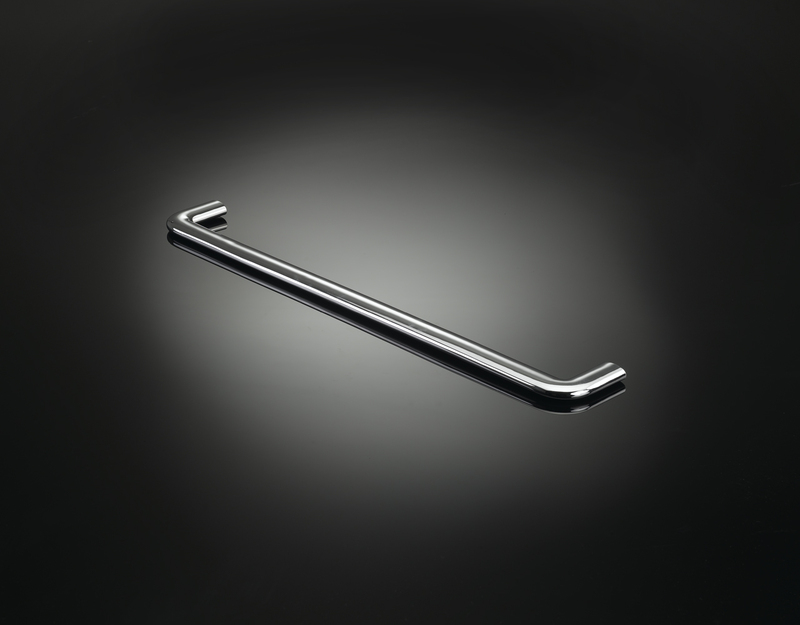 Like all izé luxury ironmongery, the towel rail is available in the full range of izé materials. Finish: Hot patinated real bronze, hot patinated lacquered real bronze, cold patinated real bronze, fekete nickel and other finishes. All unlacquered items are treated with beeswax and carnauba palm oil.